Lawrence Berkeley National Lab's first-ever LEED Platinum certified facility is a sustainable success story. 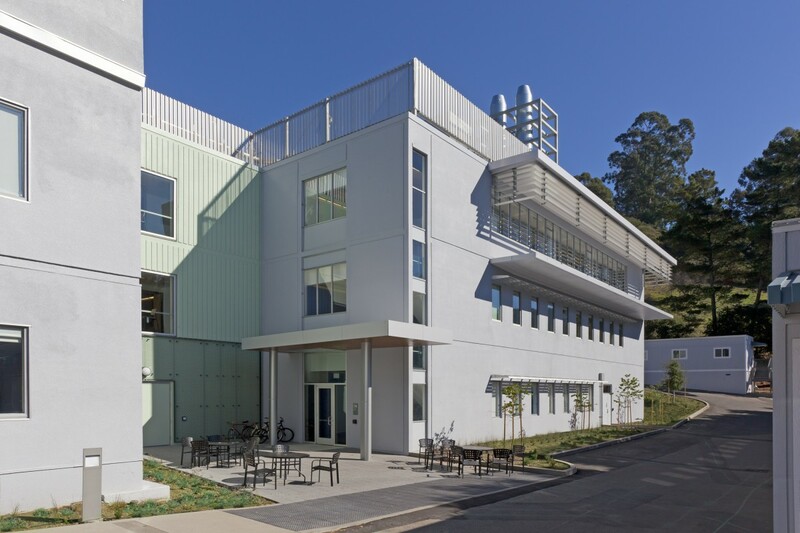 Limited campus space means that Lawrence Berkeley National Lab (LBNL) has to constantly “recycle” old buildings, repurposing them for modern research needs. 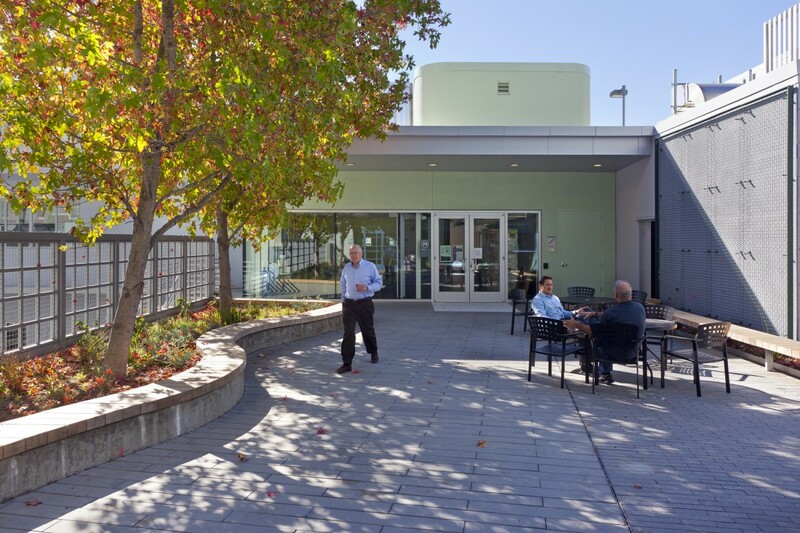 Building 74 was a particularly challenging facility to repurpose because it consists of five separate structures roughly cobbled together over the past 50 years. Its mechanical systems were out of date, and it garnered a “poor” seismic rating. 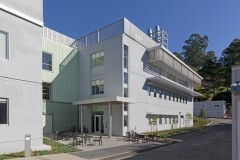 The renovation transformed the three-story, 45,382-square-foot compound into a LEED Platinum cohesive research facility for LBNL’s Earth Sciences Division (ESD), bringing together about 140 climate scientists, geochemists, geophysicists, hydrogeologists, microbiologists, computer scientists, and engineers. 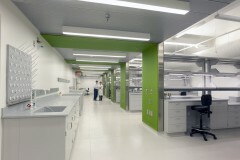 The remodeled facility is outfitted with the latest in sustainable architectural and engineering features as well as an infrastructure capable of serving the requirements of modern science. Research spaces include geothermal laboratories with a computed tomography imaging scanner. Public areas were reconfigured to support collaboration while easing the flow of people through the building. The building now includes a small cafeteria, a central meeting room, and a courtyard landscaped for outdoor dining. 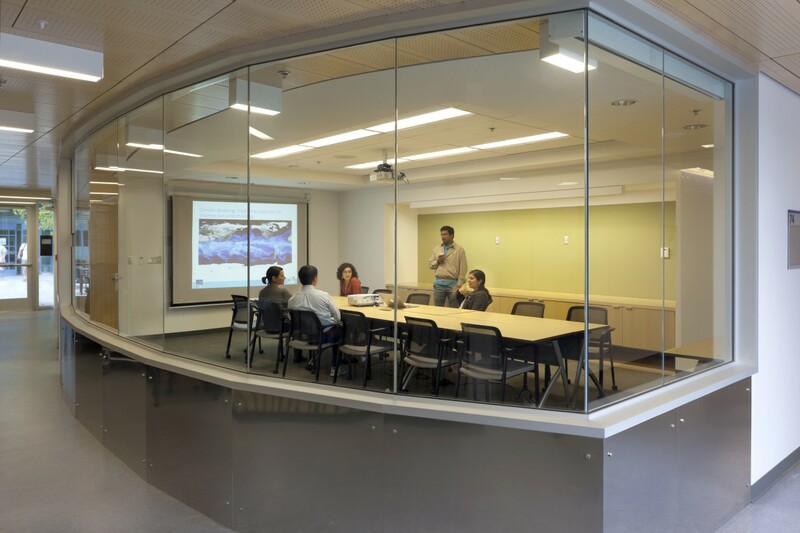 Since much of ESD’s research is geared toward environmental responsibility, we wanted to aim high in our sustainable design approach for Building 74. 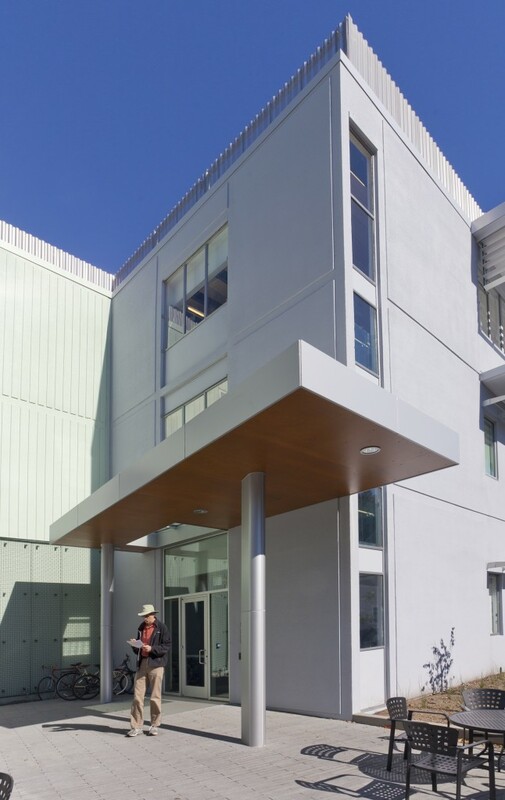 The project achieved LEED Platinum certification through the use of high-efficiency rooftop air conditioning units, a “cool roof” made of sun-reflecting materials, solar hot water heating panels, a new centralized heating and plumbing network, and computer-controlled heating, cooling, ventilation, and lighting. 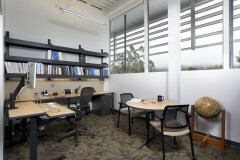 Building 74 exceeds ASHRAE 90.1, 2004 standards by 40 percent. For the lab spaces, we incorporated an HVAC system that ensures 100% outside air. Cutting a bank of new high-efficiency windows into the previously windowless middle floor of the east wing provided views and daylighting. More than 430,000 pounds, or 215 tons, of construction-generated waste material was diverted from landfill and recycled over the course of the project. 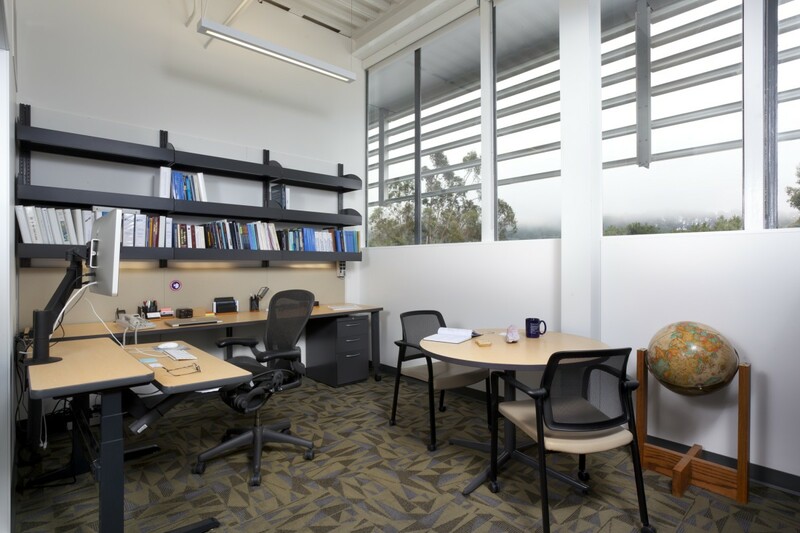 Building 74 is home to members of Carbon Cycle 2.0, a program seeking alternative ways to produce the energy we need without carbon emissions. 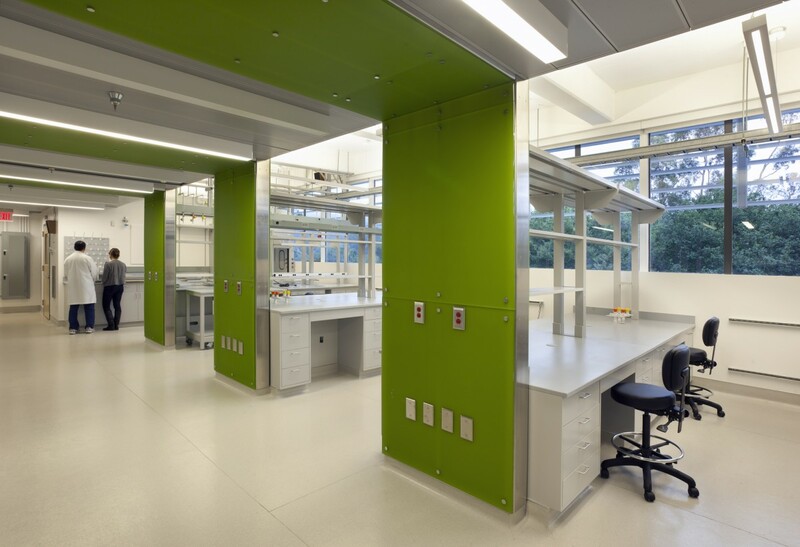 Publication: Building 74 was featured as a case study in the December 2014 issue of Laboratory Design magazine. Award: The LEED Platinum renovation of Building 74 contributed to the University of California winning a 2013 U.S. Green Building Council Northern California Chapter Green Building Super Hero Award, Sustainable Neighborhood/ Campus.